Messi under pressure as Ronaldo scores - again! 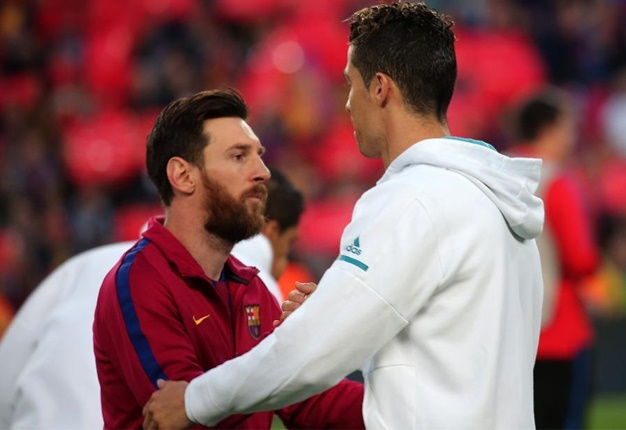 Cape Town - Portuguese heart-throb Cristiano Ronaldo has explained the inspiration behind his new goatee and has ensured all it’s not meant as a dig at Argentinean five-time Ballon D’or winner, Lionel Messi. The 33-year-old said it started as a joke between team-mate Ricardo Quaresma and himself, but he’s decided to keep it as his Soccer World Cup good luck charm, reports The Sun. “My beard? It was a joke with Ricardo Quaresma, we were in the sauna and I was shaving, I left a goatee and told him if I scored against Spain I won't shave it until the end of the World Cup,” said Ronaldo. 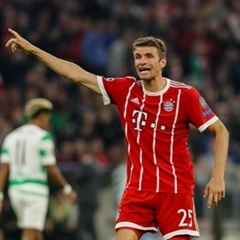 The soccer star sparked rumours of dissing Messi after showing up to the World Cup boasting the minuscule goatee and gesturing at it after scoring against Spain in Portugal’s first fixture of the tournament - a few weeks after Messi’s adidas advert where he posed with a goatee on the cover of Paper Magazine, reports Kickoff magazine. The article in the magazine was titled ‘Messi is the G.O.A.T’ (Greatest Of All Time) although Messi has emphasised that he doesn’t consider himself to be the best footballer the world has ever seen. Ronaldo - who became the highest European goal-scorer after Portugal’s match against Morocco on Wednesday - is also rumoured to be engaged to his girlfriend Georgina Rodriguez after she flashed a diamond-encrusted ring while watching him play in Moscow, reports the Daily Mail.